Hi Guys! Its been a while since my last post and even my last race. 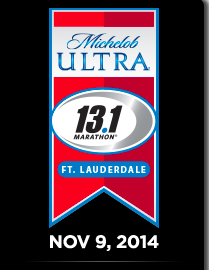 I wanted to let you know that I am officially registered for the Michelob Ultra Ft. Lauderdale Half Marathon happening on November 9, 2014. So its been a while since my last race actually. I’ve taking on a lot of work responsibilities and currently finishing up grad school but nevertheless thats no excuse. I’m excited for this run and I know it will be fun and eventful which will help me to get back on track! Here is a link to the course map. Check it out and let me know what you think (It’s on the water). I also have my eye set on Palm Beach Marathon on Dec 7, 2014 as well as the Miami Marathon on Jan 25, 2014. If you have been following me for a while or have read my previous blog post you know that I’m all for setting goals and sticking to them. Without goals its hard to improve and to share experiences with others. Respond back to this post and let me know how you are doing with your Health and Fitness endeavors! Looking forward to it. It’s been 3 years since the blog was created! Woah does time fly by. We all had some great discussions on previous blog post over the past years and I want to make this year even better. I am asking for your feedback on topics that you would like to read about in the future. If you have any other recommendations that can improve the blog, I want to hear those too. 🙂 I really appreciate all of my readers and want to make your experience on the site as interesting as possible. Leave a comment and use the poll below. This is probably the most depressing blog topics that I have written about in two years. As many of you are aware, two explosives were detonated at the finish line during the Boston Marathon today 04/15/2013. I am not writing this blog to report the news and give you politics or the facts, however I am writing this to express my condolences to those that are no longer with us and those who are severely injured. All of our prayers and thoughts at LJay Health goes out to families of the victims, the Boston community, running family and the nation as a whole. 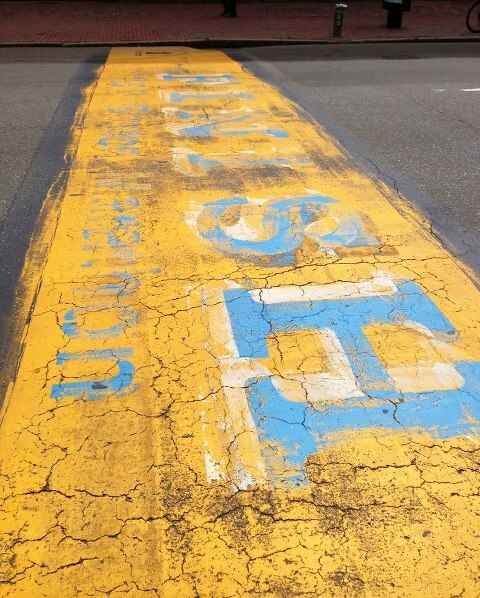 The Boston Marathon is like the Super Bowl for many runners and everyone works very hard to get there. Unfortunately the glory and victory was taken away from the athletes who ran the marathon today. Who would have ever thought that someone would intentionally plant explosive devices at a marathon, it definitely caught everyone off guard. I have ran 5 marathons to date, 30 miles this past Sunday and running the Boston marathon was in my future. Considering the events that happened today, I am not really sure how I feel at this point in time. It is really a heart felt moment for myself and millions of other people. It is important that we not live in fear but to be very cautious in everything we do. One thing that we can take away from this tragedy is to remember to cherish life and be there for one another. I want to leave you with a quote that I was inspired by especially after today. Live, Love, and cherish Life. Make friends, memories, and plans. Your life is about you, but life is not about you. Fall in love. Love the fall and winter and spring and summer. Ski, skate, sing and dance. Smell the rain and the chocolate chip cookies. Take all the time you need, but don’t waste it. Catch the big one with your dad. Go on a trip with your mom. Love children, for you were once one. Learn from your elders, and one day you’ll have their wisdom. Seek the truth. Find it in yourself, others, and in your faith. Be patient and gentle. Most of all truly live. Leave a comment and let me know how you are feeling even if its just to vent. 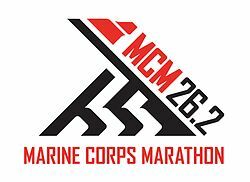 I am very excited to be running the Marine Corps Marathon this year on October 27, 2013. As you may have heard registration day for this event was absolutely bananas. 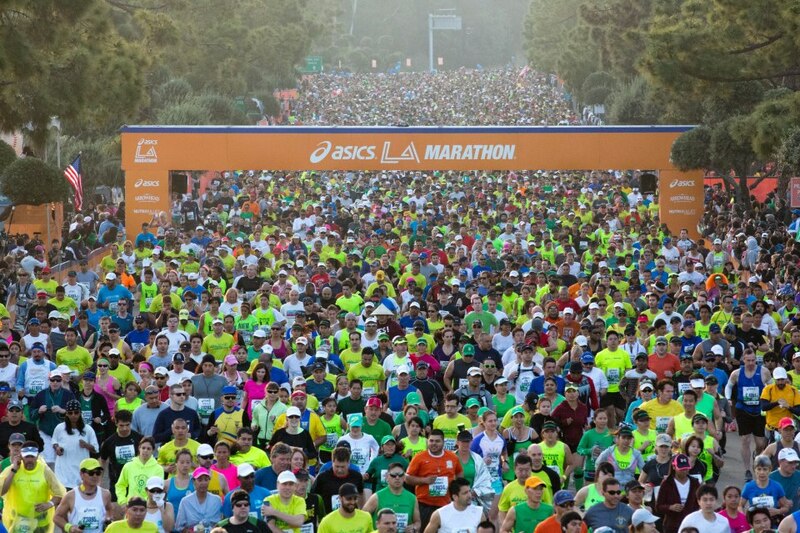 The marathon sold out in less than 2.5 hours with about 30,000 runners participating. Luckily this year I will be running with The Little Things for Cancer charity group which is awesome! We have roughly 25 members of the charity who will all be running the marathon and raising the awareness for this cause. The Little Things for Cancer charity group provide funds for services for cancer patients and their caregivers. The Little Things differs from many other organizations in that they offer support to people affected by all types of cancer, not just one specific type. I am on a mission to raise $1500 if not more for the charity group. I am asking all of my support group, family, and friends etc to help me in raising funds for such a great cause and charity organization. I have included a link below where all donations can be made. All of the proceeds will go directly to the charity. The LA Marathon on 03/17/2013 makes my 4th marathon. I expected to finish in 3:45:00 however I was not expecting all the hills in LA which slowed me down just a little. Almost 25,000 runners showed up for the event which is pretty awesome. My training for the marathon consisted of 3-4 runs a week with weight training on my off days. My eating was really good and I made sure to avoid anything that wasnt healthy. I can really tell a difference in my runs when I eat good and when I don’t. I flew across the country all the way from Florida to California. However, I met people who were from Australia, Europe and Africa in LA just to run the marathon. 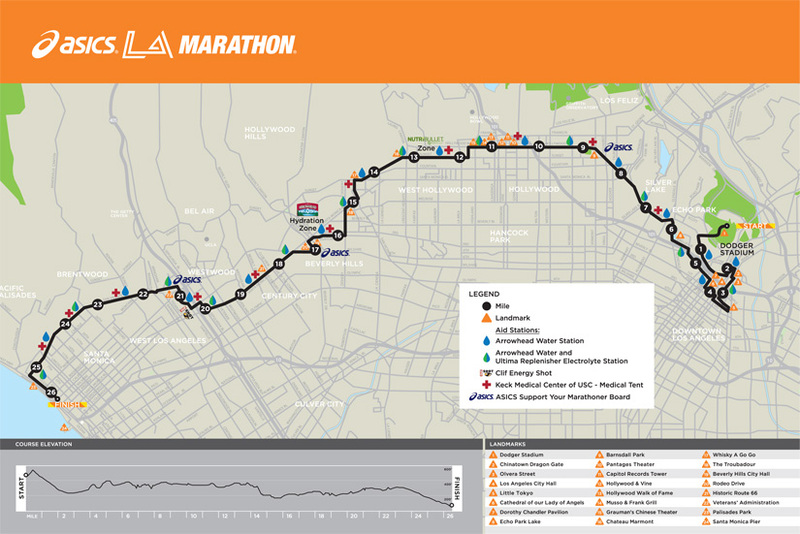 The LA Marathon course was pretty eventful. 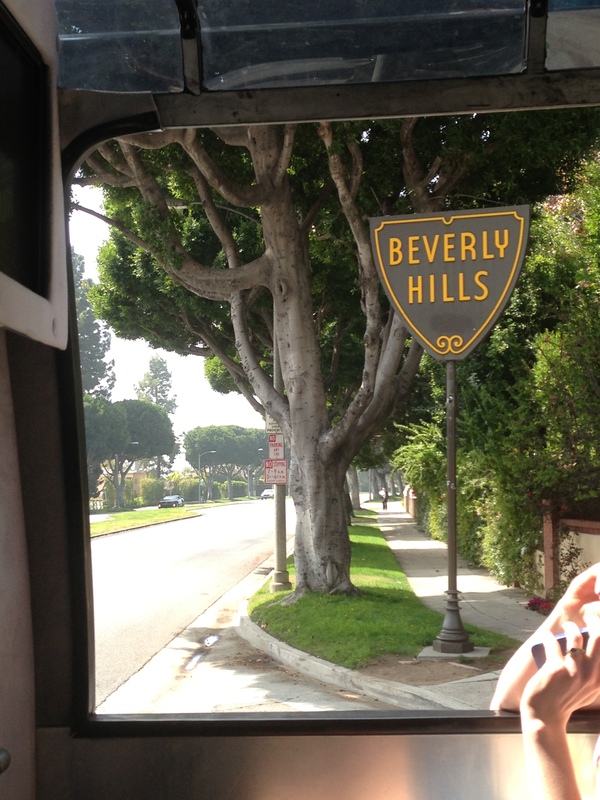 We ran through all the major attractions such as the Dodger Stadium, Hollywood, Beverly Hills, Downtown LA and Santa Monica beach. If you haven’t ran the course before I highly recommend it but be sure to train for hills 🙂 One thing that I also liked is that there was a huge support system from locals, family members and friends. About 90% of the race was filled with spectators cheering the runners on and handing out food and water. I think that all the cheering keeps the runners motivated! The weather was cool and overcast which made for an even better race. Unfortunately, I didn’t see any celebrities running the race but I heard some were in disguise. I did do a little site seeing at Huntington Beach, Santa Monica beach, Long Beach, Hollywood, Downtown LA, Rodeo Dr, and Marina Del Ray. My friends Jim, Sam and I took a tour with the TMZ show which was really fun. We spotted all the celebrity hang out spots, restaurants and gyms. 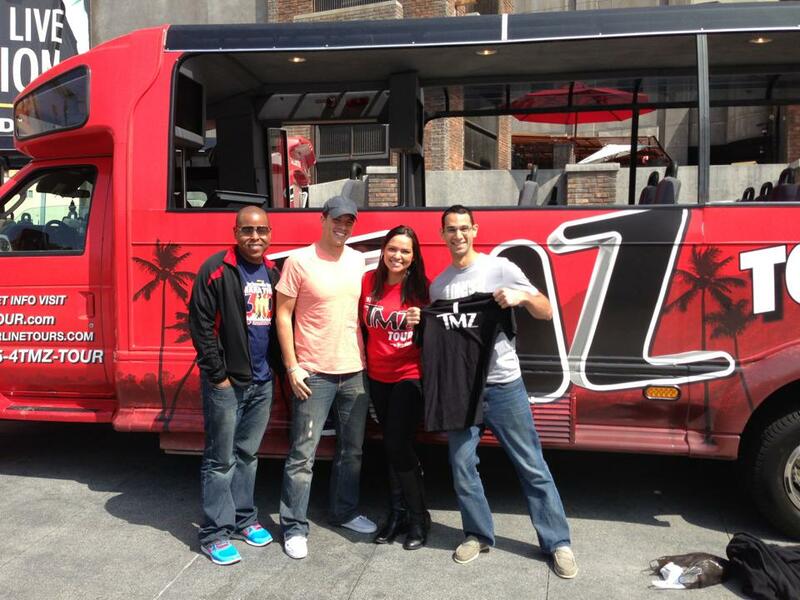 Amanda from the TMZ show was our tour guide…I gotta tell you she is something else and very funny. I am training for marathon #5 in Nashville on April 27,2013 and a 50K (31 miles) in May. People ask me all the time “Why do you keep running marathons?” To me, that is a very tough question to answer but deep down inside I do it because it makes me happy and I love running. Everyone has their thing that they enjoy like golfing, fishing, skiing, hiking etc…and mine is running! What’s Next for you?? Comment and let us know…I look forward to it. Merry Christmas and Happy New Year to everyone and your families! This has been a fun and exciting year and I wanted to express that I am really happy to have all of you in my fitness and health community. It really means alot to know that I can and have inspired so many across the globe and can help people accomplish challenges they didn’t think were possible. Thanks again for supporting and promoting the blog! I appreciate every single comment posted even If for some reason I don’t respond. Truly means alot!